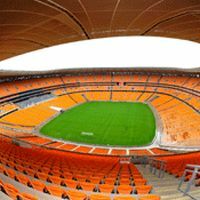 02.12.2018 Johannesburg: FNB Stadium in risk of collapse? Africa's largest stadium may be under threat from persistent illegal mining in the area. While the Department of Mineral Resources sees “no immediate threat”, Joburg mayor is of a very different opinion. 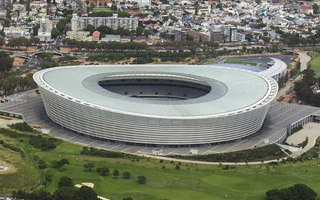 After years of being a major burden, will Cape Town Stadium finally climb out of the red? Not likely, but let's keep our fingers crossed. New managing company hopes to lure naming rights partner for the first time. 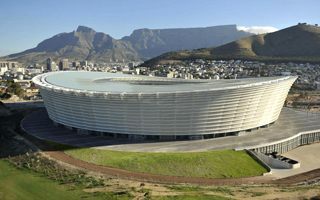 31.05.2017 Cape Town: No football for CT Stadium again? 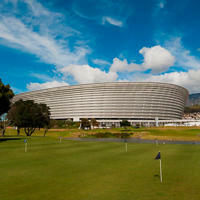 Ajax Cape Town may find themselves without a home ground for next season as plans are underway to have them evicted. This would leave the notorious World Cup stadium without football use again. 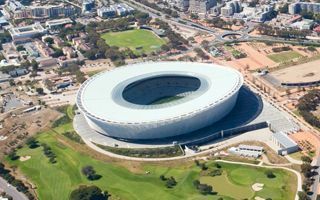 Mayor of Cape Town assured she won’t let go of former contractor WBHO until the city gets the demanded ZAR 500 million in damages for Cape Town Stadium. 11.10.2016 South Africa: Any legacy plan for this World Cup stadium? 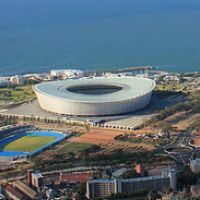 When they finally found a football tenant, Nelson Mandela Bay Stadium is about to lose the managing company. And no solid plan for the future is in place. 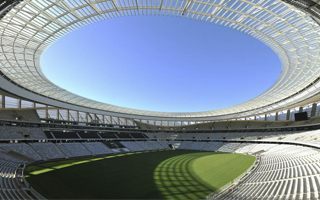 30.05.2016 Cape Town: Extra revenue for World Cup stadium? 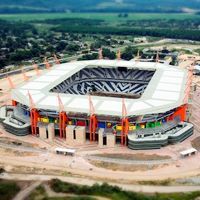 It may have been the most expensive stadium of the 2010 World Cup, but to this day it fails to generate revenue. Latest idea includes converting a parking site into commercial area. 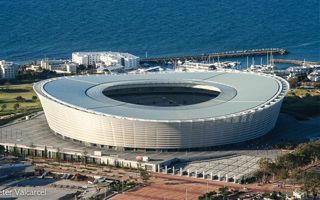 After 2010 World Cup contractors were proven to rig tenders and inflate prices of many projects, now Cape Town is the first city to seek compensation. 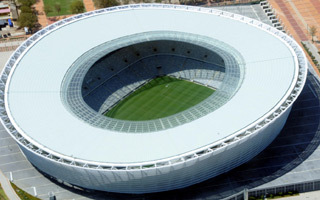 One in five citizens of Cape Town would like the 2010 World Cup stadium to be torn down. Some estimate the entire demolition cost to be half the loss generated every year by the giant. But majority still want to give it time and find a business model. 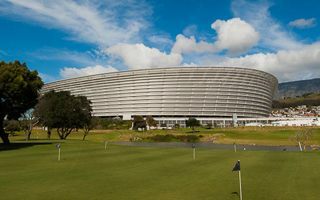 Competition Commission revealed that the country’s biggest contractors agreed to share contracts ahead of the 2010 tournament on condition that each of them would earn at least 17.5% on their works. This led to giant inflation of costs for municipalities. At least five cities are considering legal challenges against contractors rigging their bids and inflating stadium cost for own gain. 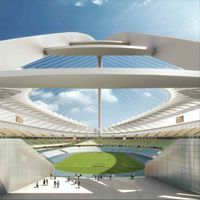 In the case of Cape Town even 30% of the stadium budget may have been charged wrongly, according to Associated Press. 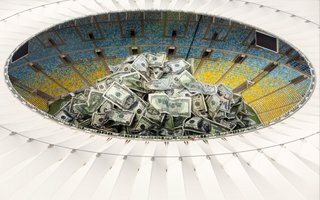 Two most expensive venues of the 2010 World Cup had their costs rigged by contractors – ongoing inquiry reveals. Their price tags rose significantly throughout construction – Cape Town Argus reports. Will cities get their money back now? 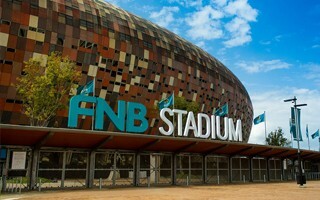 It wasn’t until High Court’s decision that First National Bank secured its rights to be the naming rights owner for Soccer city. The latter name may no longer be used in official communication by third parties. 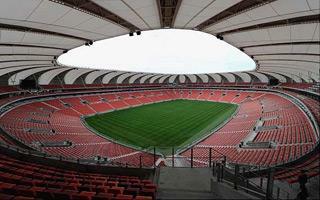 Brand new Moses Mabhida Stadium was built for the 2010 World Cup just next to the existing Kings Park. But to date it stands empty most of the time, while its older neighbour gets most of the events. City authorities are hoping to change that – Independent Online reports. 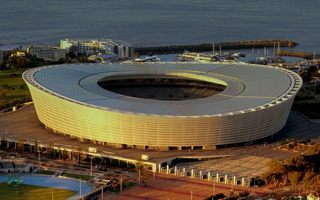 Congress of the South African Trade Unions says Cape Town’s Greenpoint stadium should be dismantled and turned into low-cost housing. Architects and engineers say it’s possible, “Business Day” reports.